Generally there are plenty of places where you can fish off of the bottom and not worry about getting snagged. Due to low water conditions the lake has much more cover and brush near the shoreline making bottom offerings a bit tough to fish. There is an easy solution to be able to fish these areas without getting hung up as much. 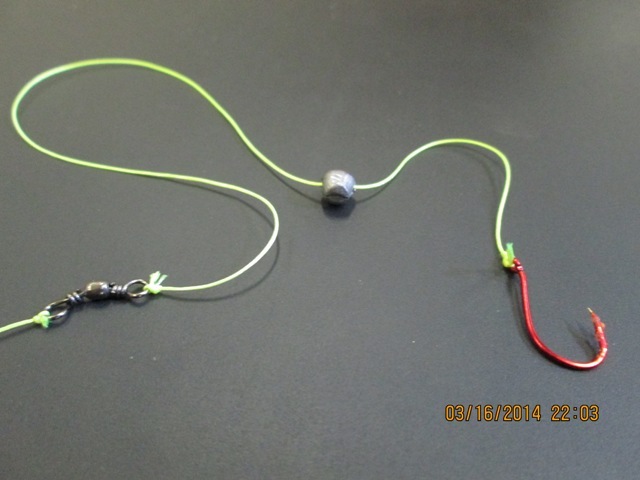 A slip-float rig is perfect way to present your favorite bait to the fish from the top down instead of from the bottom up. Since the fish are cruising near the surface a long leader is not necessary, keeping your day relatively snag free. 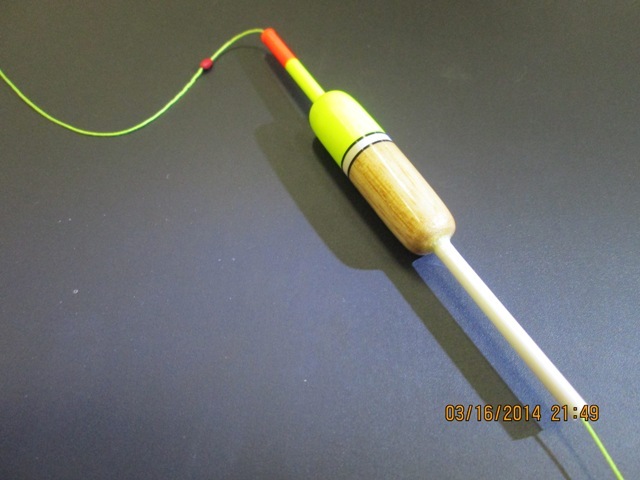 First slide a small bobber-stop onto your line. 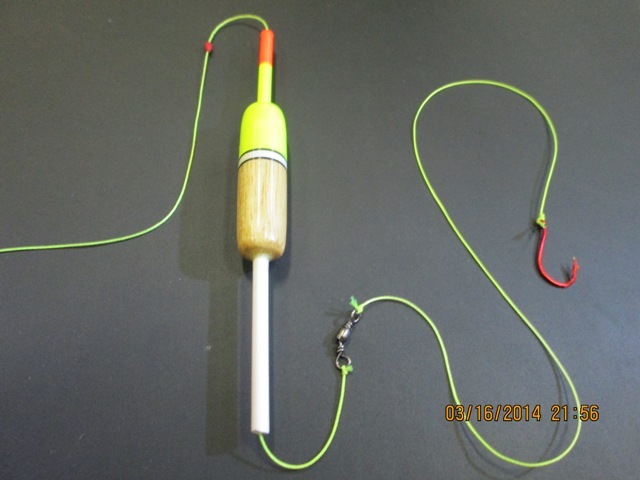 The stop can be positioned up and down your line to determine the depth you wish to fish. Next slide the slip-float onto the line. 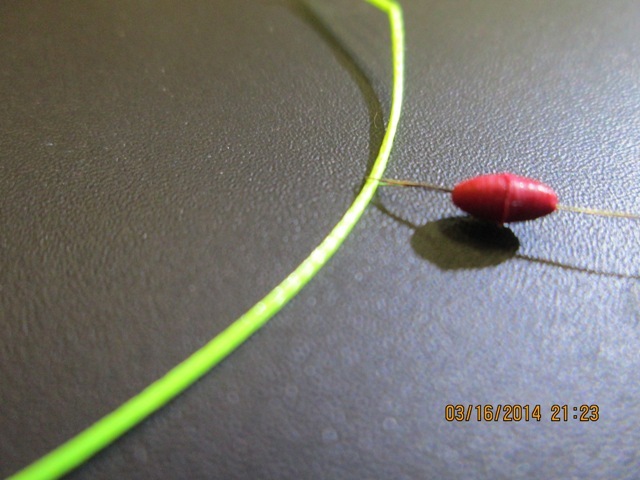 Small floats are good for light weight baits and big floats work better for the bigger baits. Then tie on a barrel swivel. Make sure to use a large swivel that does not get stuck in the end of the slip-float. On the other end of the swivel tie a light line leader, a hook that will work with the bait you are using and crimp on a split-shot weight. Here is the entire setup (note: the green line is for demonstration). It is very easy to use and can be extremely effective. 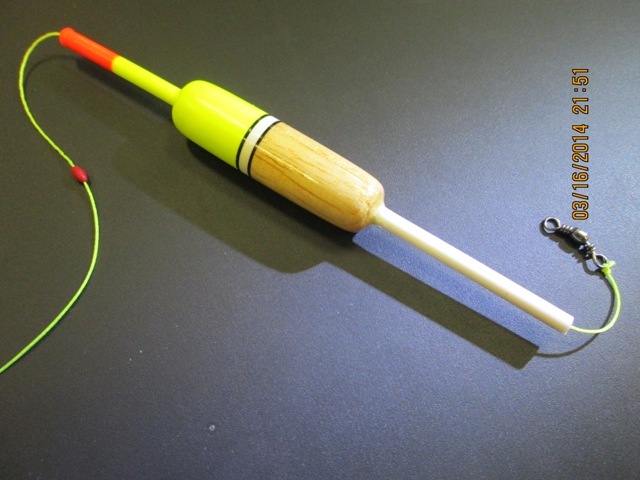 The bobber-stop is small enough to be reeled into the spool on a spinning reel. With that being said, you can fish your bait of choice in shallow or deep water depending on where the fish are holding and where the stop is set. Experiment with different depths and different baits and you will be sure to find and catch some fish.